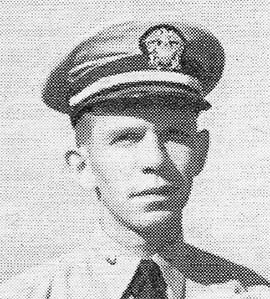 W. M. Porter graduated from the United States Naval Academy in 1937. He served on USS Oklahoma for a year and then was sent to Supply School. He joined the crew of USS West Virginia on March 17, 1944 as Supply Officer and remained aboard until the end of the war. He remained in the Navy until retiring as the Supply Officer at Mare Island in 1960. After retiring from the navy, Mr. Porter moved to Las Cruces, New Mexico where he was the Purchasing Agent at New Mexico State University. He passed away in 1995 at the age of 80 and he is buried at Arlington National Cemetery.